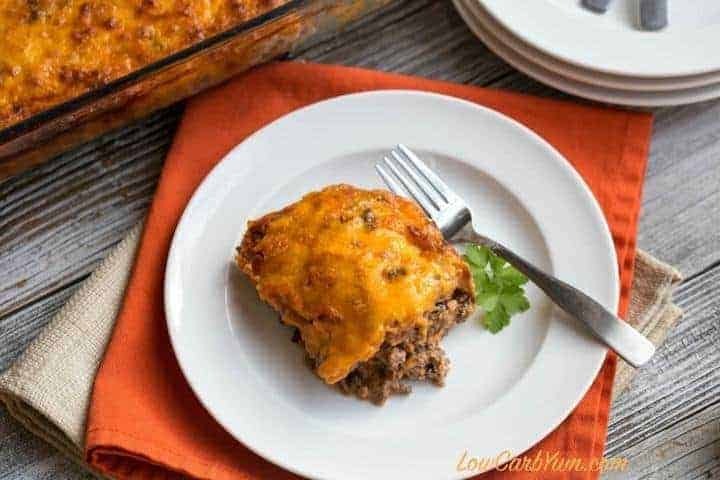 Don’t you just love the ease of casseroles, especially easy low carb beef recipes? I also love to have the heat of the oven warming the kitchen in the winter. 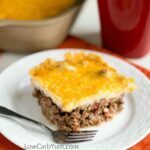 I recently created a simple low carb bacon cheeseburger casserole to try out on my family. 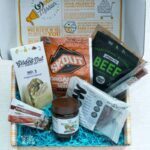 It was an instant winner, even with my super picky husband and youngest daughter. 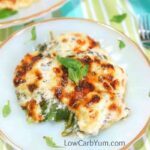 My husband is a big fan of bacon and burgers so this keto friendly meal seemed like a perfect fit for him. And, my youngest daughter is a huge cheese lover so that’s why she didn’t fuss about eating it. 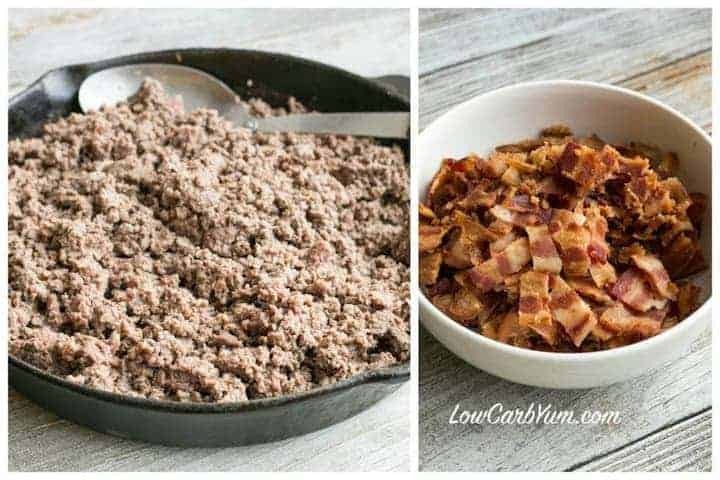 As I mentioned in the low carb ground meat recipe round up, my family eats a ton of ground venison. Our freezers are always full of it. I don’t even remember when was the last time I actually bought ground beef. When I refer to ground beef in my recipes, you can bet my dish was made with venison. 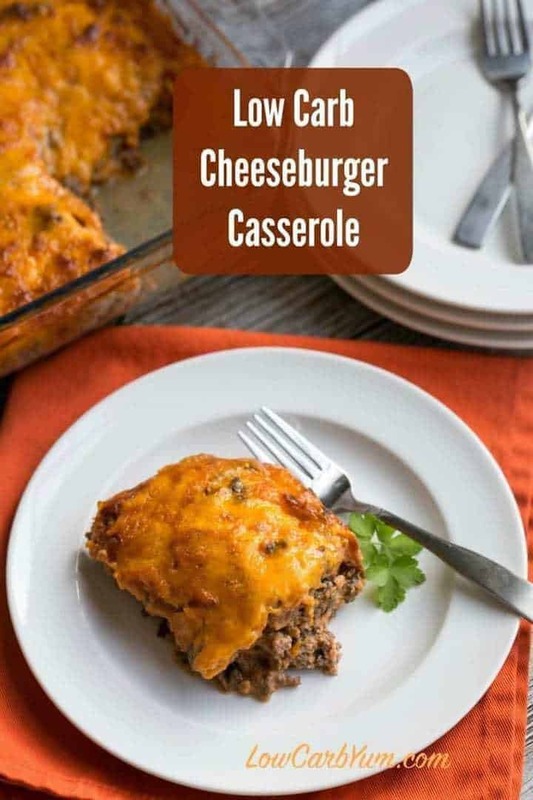 So, even though is looks like regular burger meat, I made this low carb bacon cheeseburger casserole with deer meat. It’s the same thing with bulk sausage meat. I always use the venison sausage unless I’m promoting a certain brand of meat. Because it’s wild game, deer meat tends to be better than beef. It’s been a really mild winter in Connecticut this season so the deer have been living comfortably with plenty of food. It’s the first year our venison supply has actually dwindled down. We usually give a lot of meat away, but we may not have to this year. It hasn’t been a great year for hunting. I’m taking advantage of that as I can easily see what’s in the freezer and use up the older items. 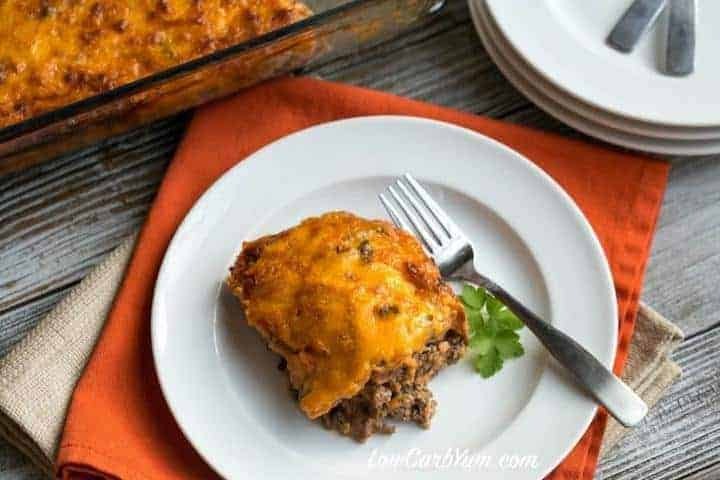 You can whip up this yummy low carb bacon cheeseburger casserole in no time. It goes especially fast if you already have the bacon cooked. I like to use the baking bacon method to cook it in the oven until it’s nice and crisp. It results in picture perfect strips and it’s a lot easier than frying in a pan. There’s a tangy sauce used in the casserole. It’s made with eggs, tomato paste, and cream. The ground burger meat is baked right in with the sauce. 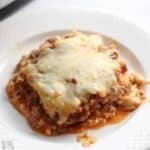 You can either stir the cheese into the meat or the sauce. I ended up stirring the cheese into the sauce. It all gets mixed up in the casserole pan so it doesn’t really make a difference. After spreading out the meat in the baking pan, the sauce is poured over. 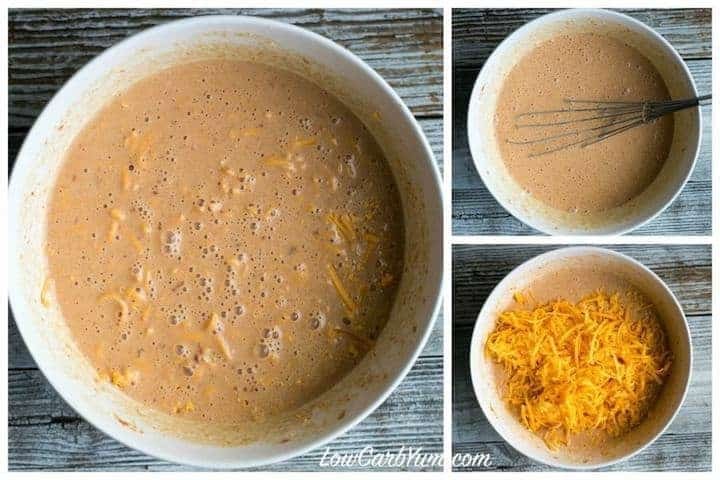 I will try stirring the cheese in with the meat next time so it gets more mixed in. I used freshly grated cheese which was a bit long so it settled on the top of the meat. However, I don’t like using the pre-shredded cheese because it contains a starchy anti-caking ingredient. 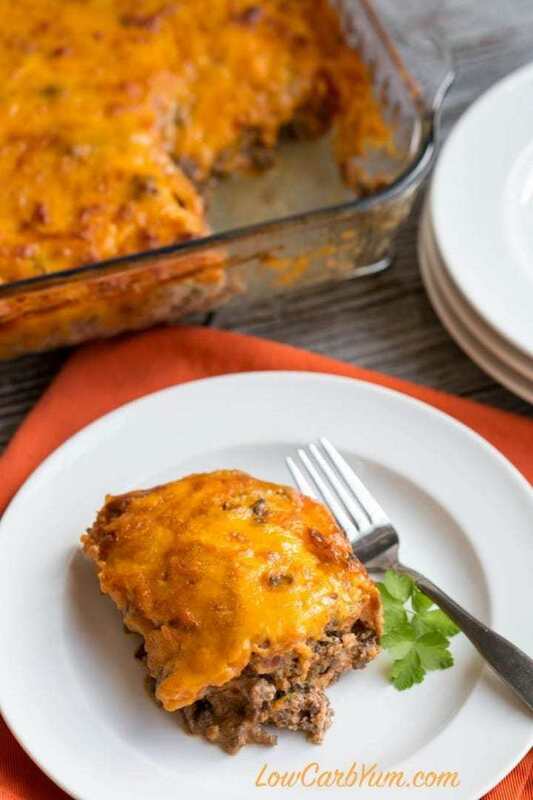 I’d recommend grating a block of cheese to use in this low carb bacon cheeseburger casserole. 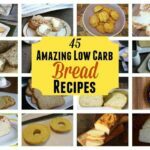 It really does help cut back on the carbs. And, if you happen to be sensitive to potatoes, like I am, it’s worth staying away from any cheese that adds potato starch. It seems crazy, but all those extra carbs do add up. The slices are very filling. You can easily feed a crowd with this dish. 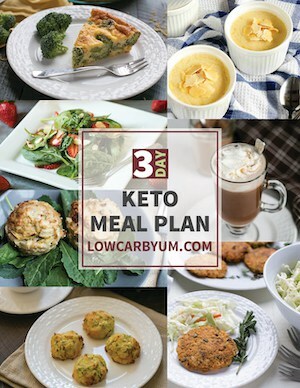 I ended up with 12 servings from this keto casserole. And, if that’s too much, you can either freeze half or only make a half batch. I used a regular 9×13-inch baking pan. If you’d like to cut the recipe in half, an 8×8-inch pan will do. When I’m doubling the recipe, I use my large 10×15-inch pan. 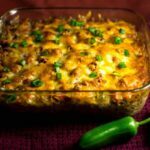 I used sharp cheddar cheese in my casserole, but you can change up the cheese too. 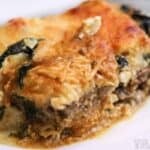 I love mushrooms and think that would also be a great addition to this versatile casserole dish. However, I kept the dish rather plain for my family. My husband hates onions and mushrooms so there was no way I was adding those. 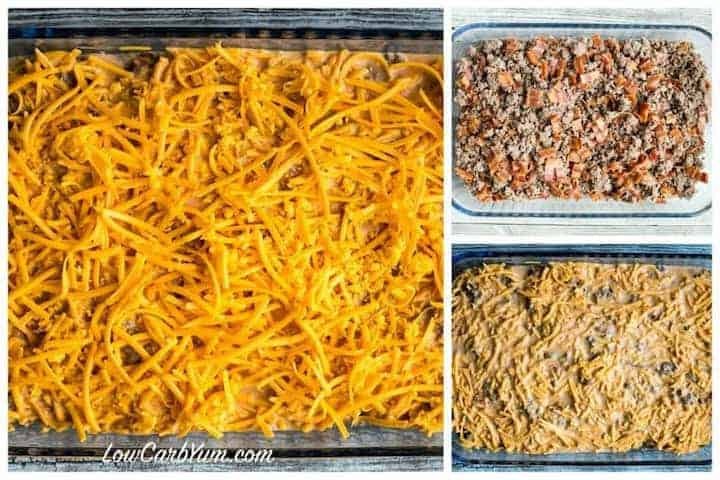 I’ve been looking for easy low carb casseroles to bake up in my casserole crock pot. 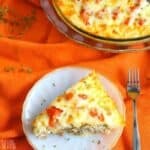 Although I baked this casserole in the oven, I think it would be a great one to do in the crock pot. 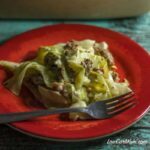 I’ll definitely be putting this simple casserole dish on my dinner rotation. With all the ground venison burger we keep stocked up in our freezer, it’s a tasty way for me to bake it up. Your family is sure to love this basic casserole. 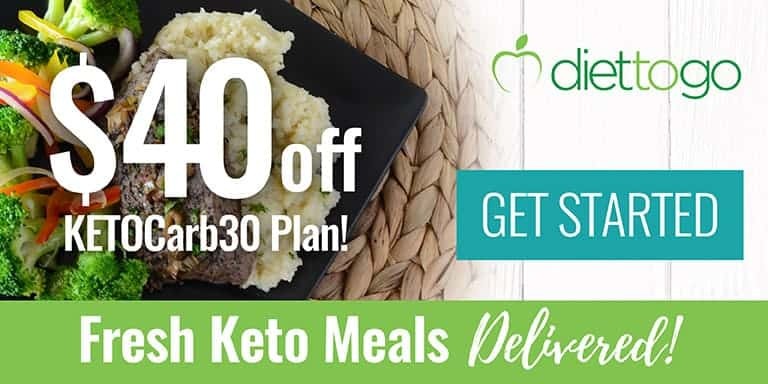 Why not give it a try? 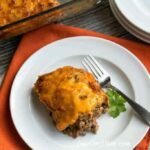 Need more easy ground meat recipes? 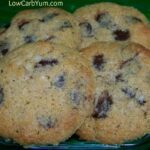 Check out the this recipe round-up! If you want a less eggy casserole, reduce eggs and add more beef. Mushrooms, onions, and pickles are great add-ins!